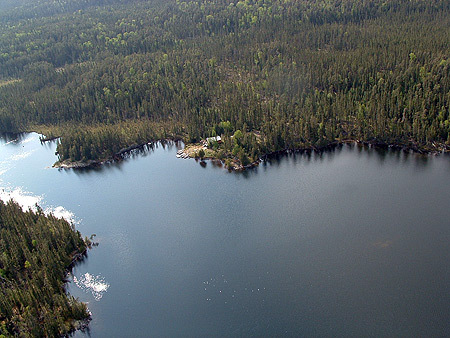 Our Redsand Lake outpost camp is positioned at the mouth of a beautiful bay, surrounded by lush spruce and pine forest rich with wildlife. 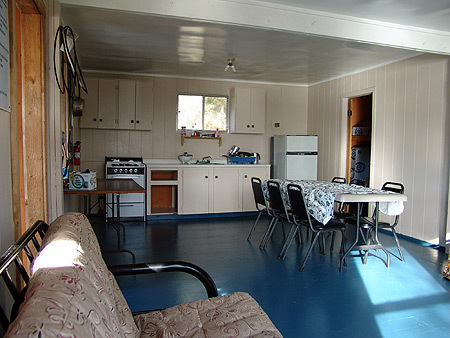 The camp sits 40 feet from shore, facing south, and is peaceful and protected from inclement weather. 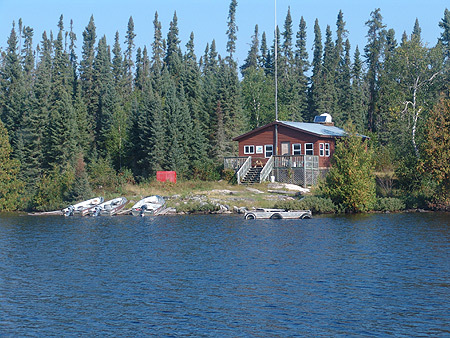 Recent upgrades to this outpost include an enclosed front porch with secure windows and the installation of solar-powered lights. 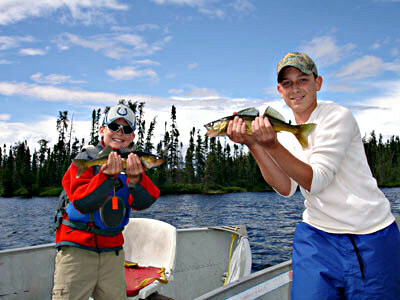 This camp is well suited for 4-8 people, although up to 10 guests may be accommodated comfortably. 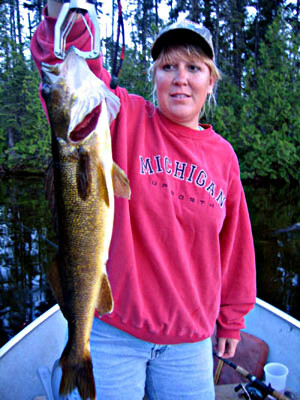 A minimum of 4 people is required for booking this camp. 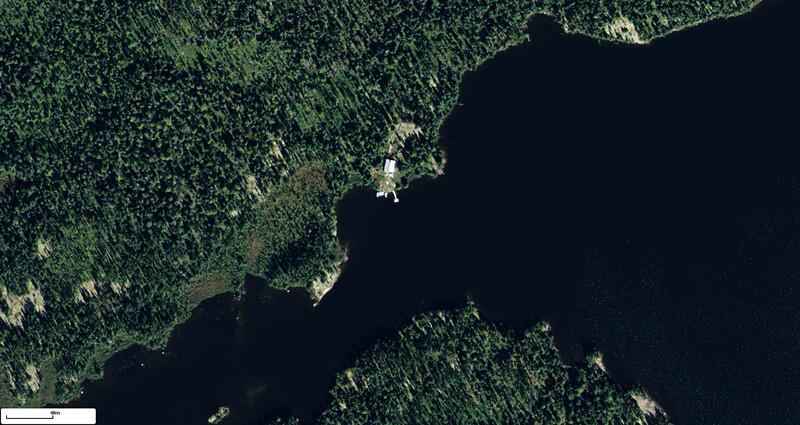 In 2010 a solar powered lighting system was installed, a new dock was built last year and the phone system was upgraded. 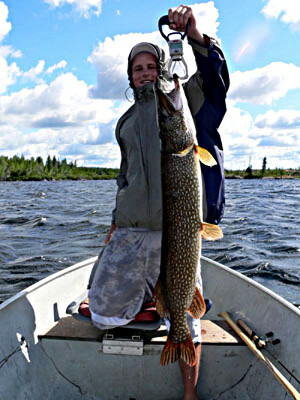 Consider this camp for your archery moose hunt in the fall. 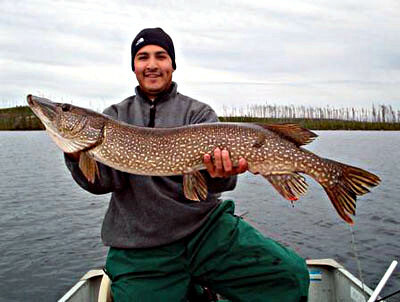 This is a popular location for giant northern fishing at both the beginning and the end of the season. 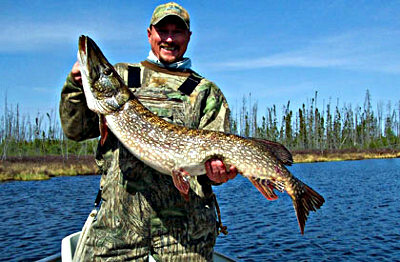 Several northerns are caught each season in the upper 40 inch range. 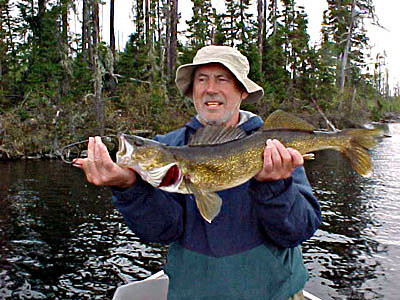 The biggest northern in 2004 was 46.5 inches and in 2006 it was 45 inches! 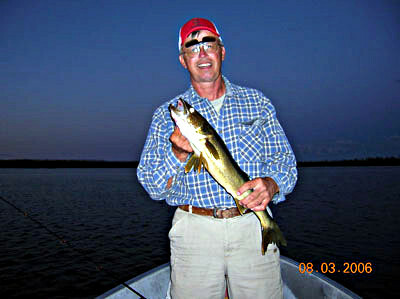 Each year some walleye play with the 30 inch mark with 32 inches being the longest one caught here is 2003! 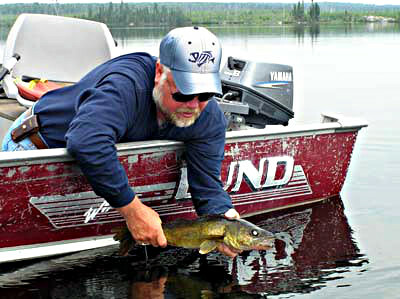 Boating equipment at this outpost includes 4-14 foot Lund boats with 8hp Yamaha motors. 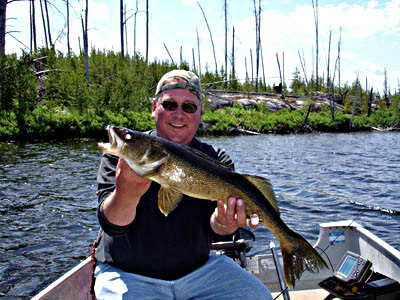 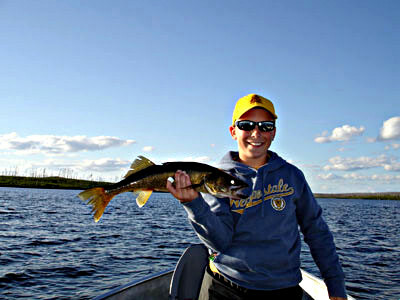 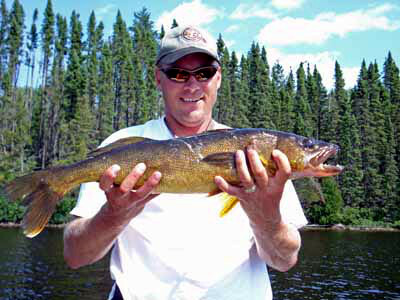 Redsand Lake connects to Siess Lake and Waterhouse Lake to the north, providing a total of over 6,000 acres of light stained to dark stained water and boasts excellent walleye and northern pike fishing.